Scandinavian knitting sensations Arne and Carlos (authors of the international bestseller55 Christmas Balls to Knit) aspire to bring a little fun to your inner child with a fantastic collection of knitted dolls, as well as instruction for creating a charming knitted wardrobe for them. Based on the dolls Arne and Carlos used during their career in the fashion design industry (they would design clothing in miniature before transforming it into "human” sizes), you’ll find easy-to-knit instructions for five doll bodies and tips for giving them features. Then, dress them up: From underwear to overcoats, you'll find miniature knits to suit all seasons. 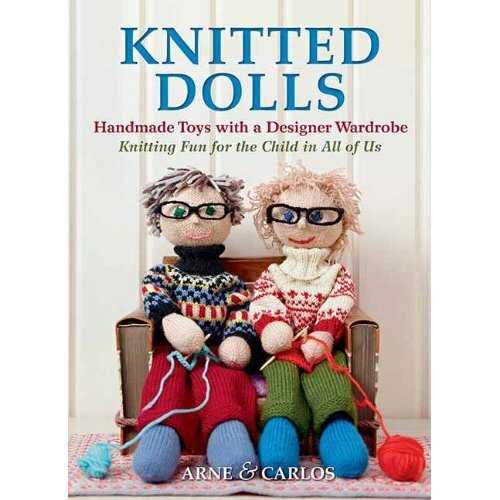 Whether knitting dolls for your own enjoyment, or to collect and give to a child or grandchild, the playful universe created by Arne and Carlos is one you’ll enjoy exploring!